Proton therapy is an advanced form of radiation treatment that has been used to treat more than 160,000 people worldwide. By 2030, it is estimated that between 300,000 and 600,000 patients will have received proton therapy treatment. Unlike photon-based forms of external beam radiotherapy, proton therapy enables an intense dose distribution pattern, depositing radiation in the precise dimensions of a tumor, while eliminating the exit dose and damage to adjacent normal tissue. Since the first cancer patient was treated with protons in 1954 at the Berkeley Radiation Laboratory, proton therapy has continued to gain acceptance as an alternative treatment to traditional radiation. A growing body of research has clarified its clinical efficacy, particularly in the treatment of tumors near critical organs and brain tissue and for pediatric tumors. As the search for evidence-based indications for proton therapy in the treatment of cancer continues, more and more studies launch every month. In fact, as of January 2019, 160 proton therapy clinical trials for patients with various forms of cancer were listed on clinicaltrials.gov. We also publish information on research related to proton therapy in general and proton therapy and immunotherapy. 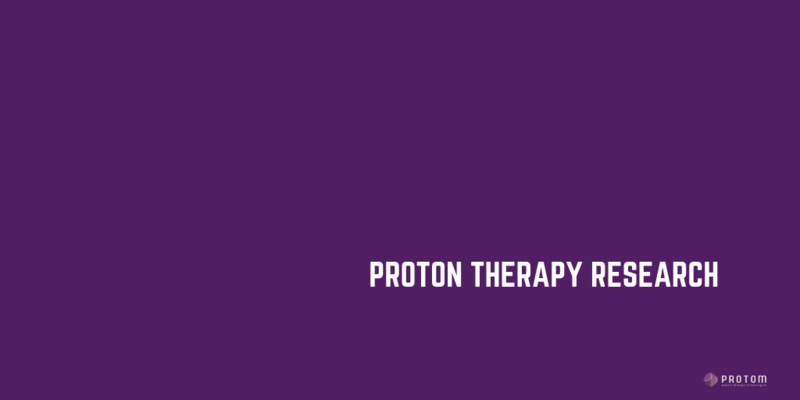 Visit our page on the clinical efficacy of proton therapy or download our free resource to learn about the latest research on proton therapy and the treatment of cancer.